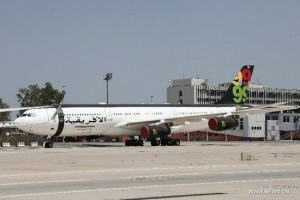 The aircraft, an Airbus A340, was bought by Gaddafi in 2003, the dictator paid for it 73 million pounds. The plane interior looks the same luxury that Colonel Gaddafi was accustomed at home. The plane have luxurious facilities, equipped with bedroom, bathroom and a meeting room, being arranged like a real apartment. Sofas and armchairs are covered with silver leather, carpets are a combination of red and gray and light system resemble those of nightclubs. 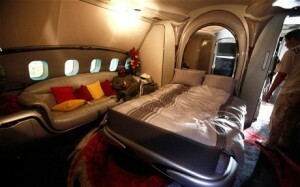 Besides sofas, bedroom with double bed, armchairs, TV, Gaddafi made ​​sure even a jacuzzi to be on board. If you like this article, share & like!